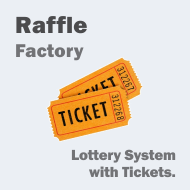 Raffle Factory is our solution to online raffles. 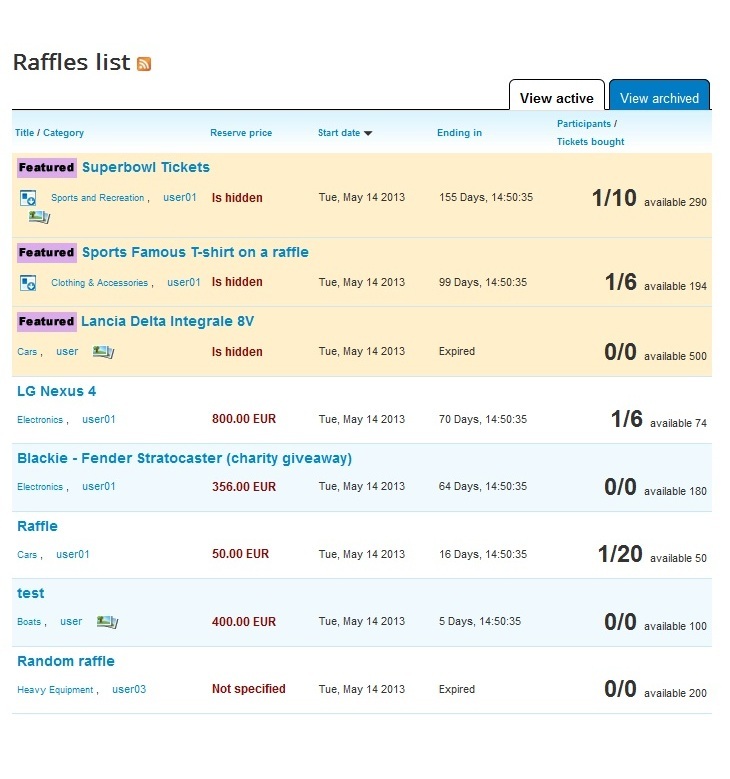 Webmasters will be able to organize raffles on their website and even allow site users to come and post raffles. 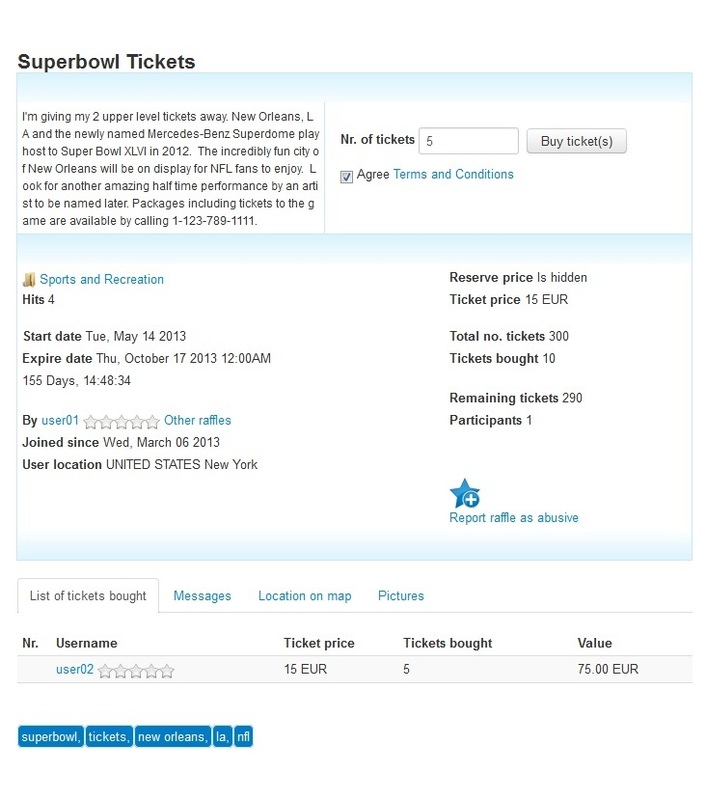 The tickets can be chosen either randomly by the script or the raffler can manually pick the winning ticket. 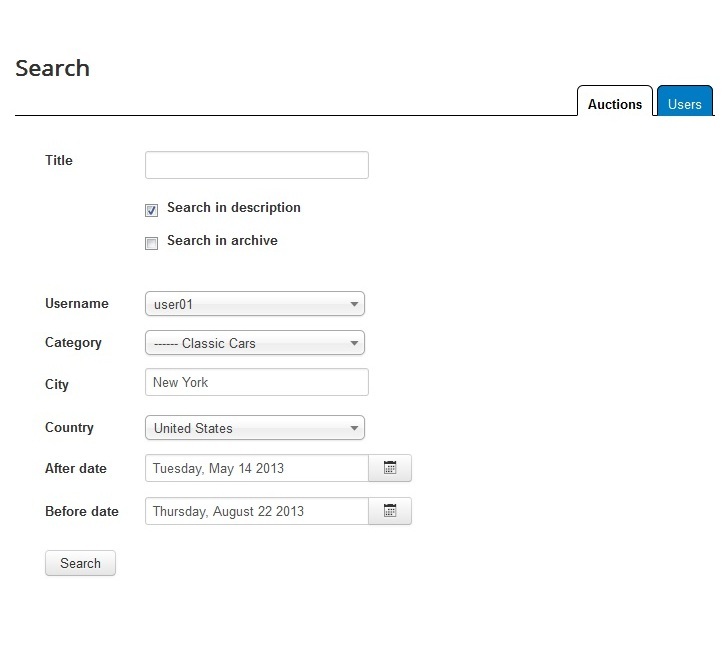 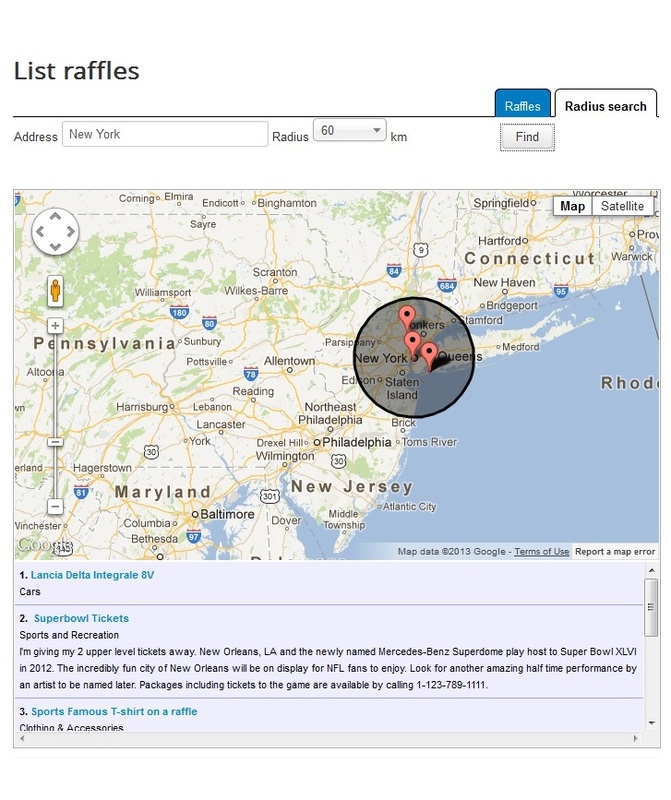 Advanced raffle search using various criteria: title, category, time range, location, etc. 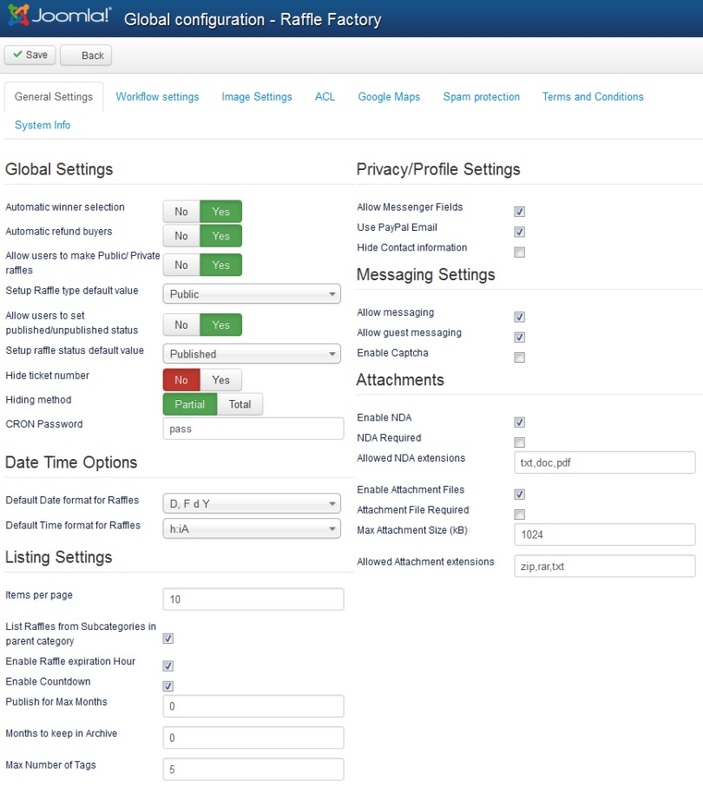 Actions: create new raffles and edit existing ones, deal with reports, send notifications, etc. 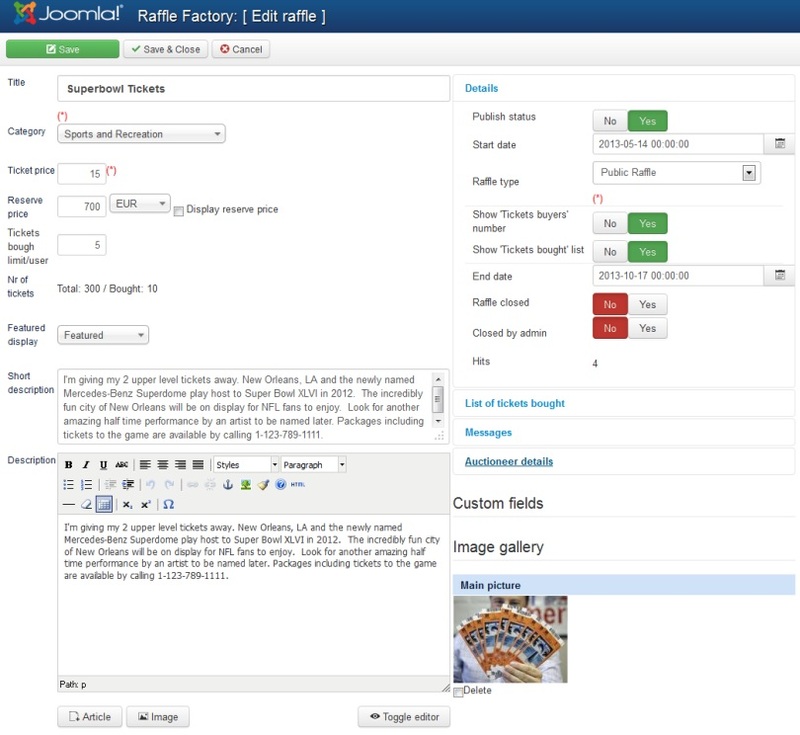 Raffle Factory 3.5.3 released on November 23, 2018. 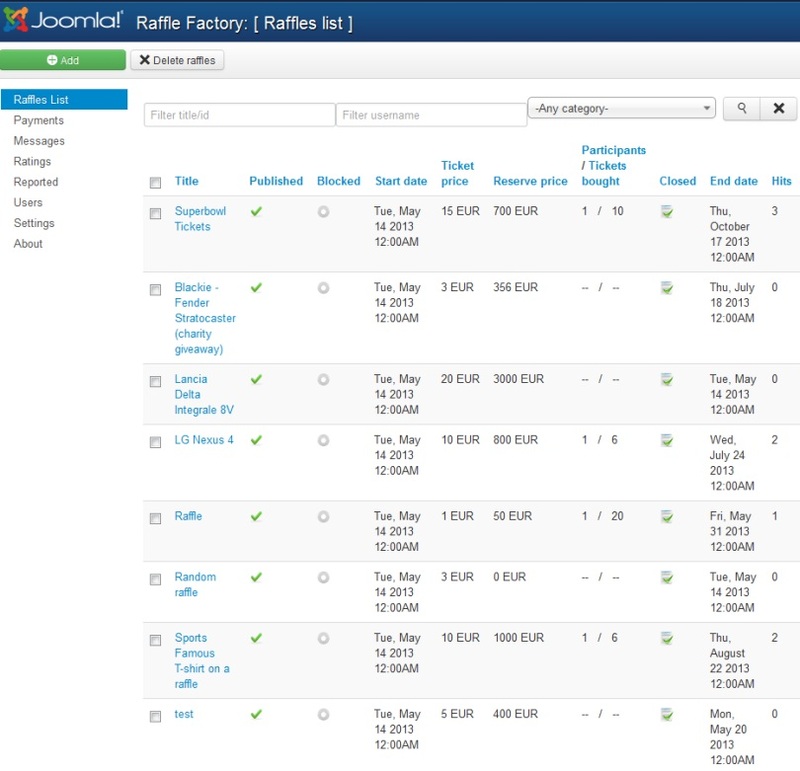 Raffle Factory 3.5.2 released on June 15, 2017. 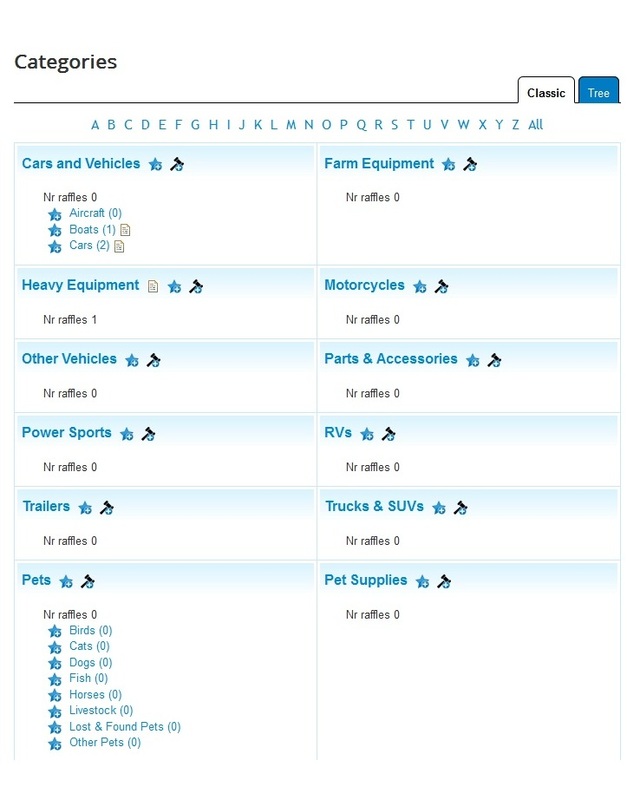 Fixed issues regarding custom fields filters, upgrade files. 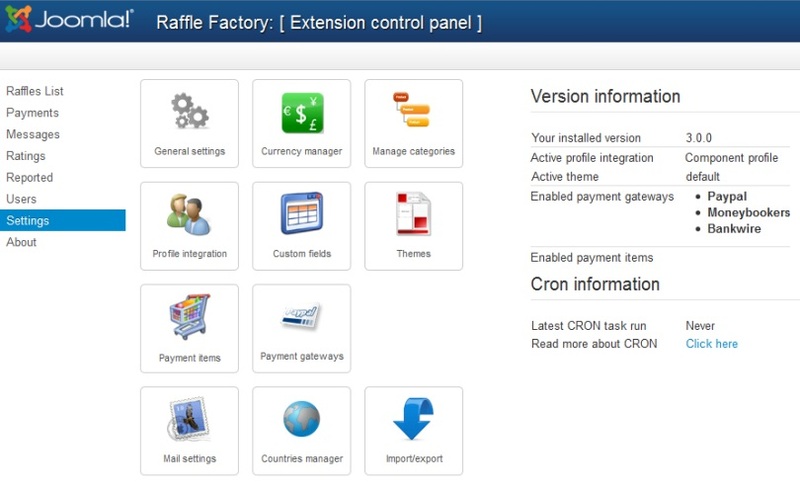 Raffle Factory 3.5.1 released on April 27, 2017. 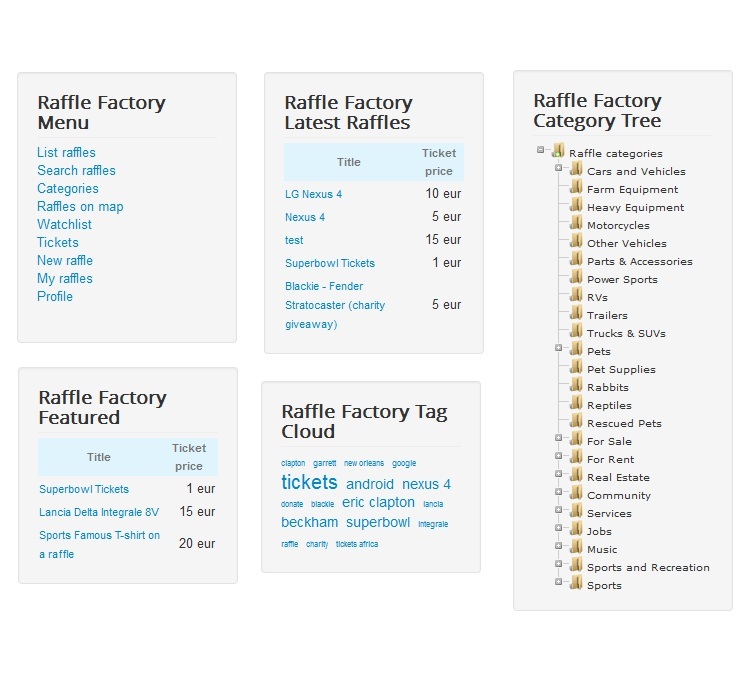 Raffle Factory 1.0.0 released on April 13, 2009. 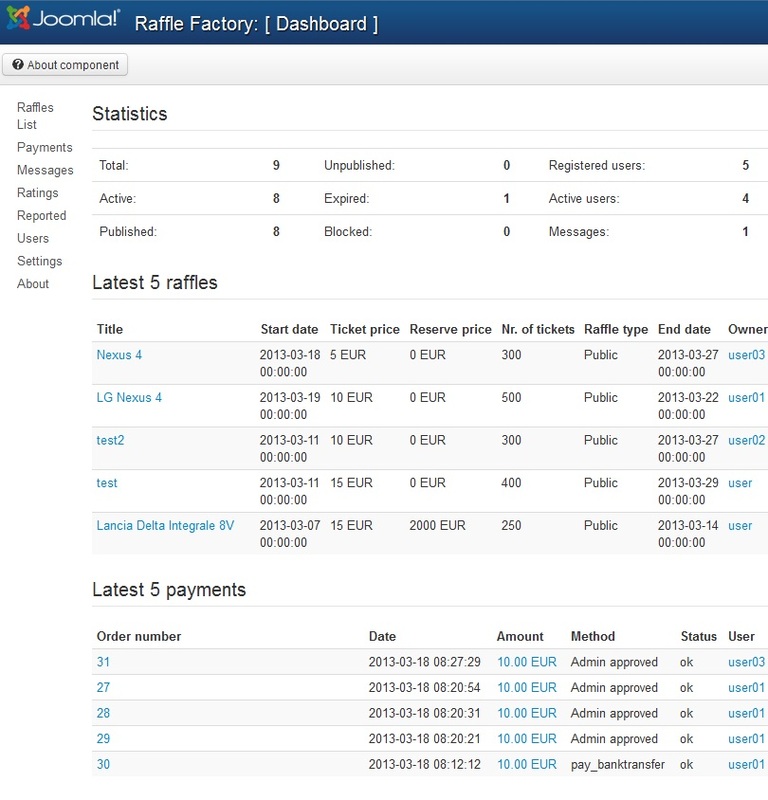 Screenshots are representing version 3.0.0 of Raffle Factory.